Sentences in English follow the pattern subject – verb – object. The subject does the action (verb) to the object. But what happens when we don’t know who or what did the action? Or what do we do when we want to emphasize the object (recipient of the action) because the subject (doer of the action) isn’t important? Situations like these are when the passive voice comes into play. The tests were handed out (by the teacher). Is the passive voice common and useful in English? Many grammarians think that the passive is becoming obsolete, and proponents of plain language think it can cause unnecessary confusion. Many editors will change passive sentences back into the active voice. Personally, I believe there is a time and place for the passive voice, and as teachers, we need to introduce it to our students because it is still quite common in English speaking and writing. The passive is used to place emphasis on the object (recipient) of the verb (action), not the subject (doer) of the verb. Pattern: be + p.p. / get + p.p. The passive is formed from the Be verb (in most tenses—see examples in the chart below) and the past participle of the main verb. 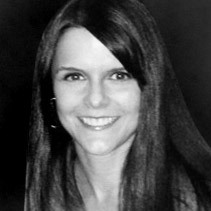 The doer of the verb is usually dropped from the sentence. To include it, use the phrase by + person/thing after the verb. The passive with the be + p.p. pattern can be formal or informal. For an even more casual, informal style, use get + p.p. We often hear get + p.p. in spoken English. Be careful that your learners don’t confuse it with the passive causative (have/get + O [thing] + p.p.). For a list of common irregular past participles, see our Irregular Verb List: Present, Past & Past Participle in our Resources – Grammar & Usage section. 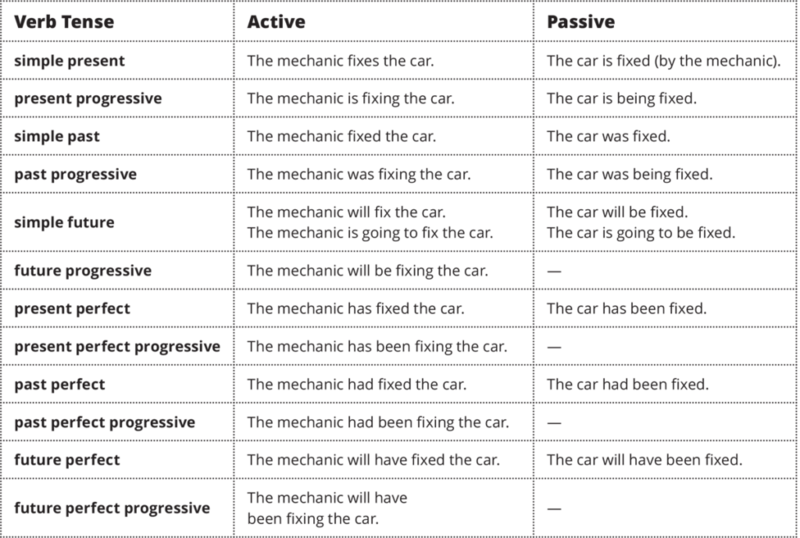 See this Passive Voice chart in the Resources – Grammar & Usage section of the ESL Library. Passive – When was it sent? Passive – Who was it produced by?